Hip Dysplasia is a problem in Golden Retrievers in both America and overseas. According to OFA, 19.9% of the Golden Retriever hip x-rays evaluated by OFA show hip dysplasia. This statistic would undoubtedly be higher if all breeders would send in x-rays on all their dogs whether good or bad. Many of the worst dogs are being left out of these numbers. Statistics from BVA indicate that the x-rays evaluated by BVA in England paint a similar picture. Although there are many breeds with much worse hips than Golden Retrievers, our breed could use some improvement. Still, it is very possible to greatly reduce the chances of a puppy developing hip dysplasia. Breeders should carefully selecting parents. Families need to create an environment for their puppy that is free from the influences that can cause hip dysplasia. A simple definition of Hip Dysplasia is a condition where the ball in the hip joint does not fit tightly into the socket. As a dog with Hip Dysplasia matures, he may develop arthritis caused by stress being put on the not-so-well-put-together-joint. This can cause symptoms anywhere from an intermittent minor limp to a crippling inability to walk, run, and play. A diagnosis of Hip Dysplasia does not necessarily mean that a dog will have clinical symptoms. Usually dogs with mild hip dysplasia never develop symptoms. With good care, a dog with moderate hip dysplasia can lead a normal life…able to run and play. The expression of hip dysplasia varies. The tendency toward it is genetic so it is important that breeders test their dogs for it. However, the presence of clinical symptoms is affected by the care that an owner gives him/her. There are 4 major hip testing organizations. OFA is the oldest and most commonly used in the United States. BVA is the British testing organization. FCI is used primarily in mainland Europe. Penn Hip is a relatively new method of testing developed by the University of Pennsylvania. All of these are good, but their methods of scoring are each a little bit different. A good breeder test their dogs with one of these methods. They will provide prospective puppy buyers with proof of the results. Good breeders will not misrepresent how one scheme compares with another. Unfortunately, this is a very common practice with a LOT of English Golden Retriever breeders. In order to accurately provide the public with that information, breeders must list the official pedigreed name of the dog. Just a simple name like Fido or Rover give no means for tracing health results. OFA – The Most Commonly Used Testing Organization in the U.S.
OFA is the most commonly used testing organization in the U.S. and the one that most are familiar with. Therefore, I think it is very important to be able to compare the other schemes with it. There is a fantastic table on OFA’s website that shows how the different scores relate. Click here for OFA’s Comparison to BVA & FCI. Below is a brief discussion of the different schemes. In order for a dog to obtain final OFA clearances, they must be at least 2 years old. They are the only hip testing organization that has this old of an age restriction. The reason for this is that older dogs have better chances of arthritic changes showing up on the x-ray. This together with the presence of lax joints indicates hip dysplasia. OFA offers breeders the opportunity to have their dogs tested at younger ages. Breeders call this a preliminary evaluation. OFA’s evaluation process is more subjective than the evaluation methods of the other three organizations. However, there are specific guidelines that veterinary radiologists are to follow in order to submit an x-ray to OFA. Three radiologists independently evaluate each x-ray for final clearances. According to OFA’s website all three of them agree on the exact rating in about 75% of cases. OFA is not as particular about the positioning of the dog as some of the other organizations. The breeder’s own vet positions the dog. Vets then send the X-rays to OFA for evaluation. It is up to the breeder to make sure that the x-raying vet has taken a good picture. Bad positioning can cause a poor score on an otherwise good set of hips. However, a breeder does have the opportunity to have it re-done. OFA has a very high standard and I consider any passing score, even a fair, to be good. Only about 8 % of all OFA x-rays on Golden Retrievers receive a score of excellent. Breeders Often Repeat Hip Testing Multiple Times in the U.S.
With BVA in England, breeders are allowed to test each dog only one time. In the U.S., a breeder can send in as many x-rays as they want. I’ve known of breeders whose hip scores have changed by two or even three grades on the same dog. The reasons for this is two-fold. First of all, positioning is vitally important for an accurate evaluation. Secondly, the evaluation itself is subjective and the opinions of 3 radiologists can vary. The evaluation process is much more objective and fair with BVA. Multiple tries are not only unnecessary, they aren’t allowed. In Europe, breeders cannot register litters from parents that don’t pass hip testing. However, in the U.S., AKC has no such oversight on breeding practices. Any litter from registered parents can be registered no matter the health. OFA has no regulatory power. They simply evaluate x-rays and keep a data-base of the results. BVA is the hip testing organization in England. 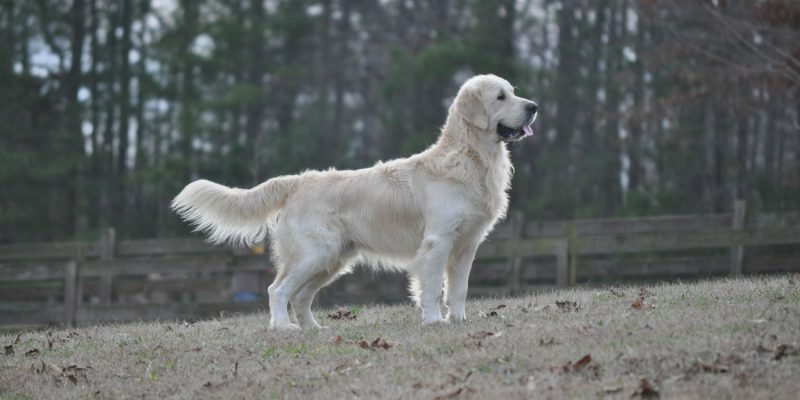 Many breeders of English Goldens in America are starting to use BVA. BVA’s scoring is not as subjective as OFA. Each hip is evaluated for 9 different features and a total score is given for each hip. The minimum age to have a dog evaluated by BVA is one year. It is advantageous from a breeder’s point of view to have hips evaluated right at a year. Earlier knowledge will enable a breeder to re-home dogs that don’t pass sooner. Summer Brook never breeds dogs that are in the fair range based on a one year old X-ray. According to OFA’s website, only 78% of dogs receiving a “fair” rating when tested before two years of age will pass at 2 years of age. However, almost 100% of dogs with an excellent or a good prior to a year, will pass at 2 years. I think that BVA is a very good organization, but I also think that breeders need to take care with early x-rays. Anyone looking to buy a puppy needs to understand how BVA compares to OFA. A BVA score must be a TOTAL of from 0-4 (both hips added together) with no one hip more than 3 in order to be equivalent to an OFA excellent. A total of both hips on BVA of from 5-10 is considered a good and a total of both hips on BVA from 11-18 is considered an OFA fair. See OFA’s website for a chart. OFA vs BVA vs FCI . According to BVA’s website, a dog should only be bred if his score is well below the breed average which for a Golden Retriever is 18 which you can see here: BVA Breed Specific Statistics. See our page Why Choose Summer Brook to read about how MANY breeders (especially of imported Goldens) are misrepresenting these scores. FCI is an international federation of kennel clubs. Once again, see the above OFA link to see how FCI hip scores relate to OFA. Only an A1, A2, and B1 are considered passing according to OFA’s standard. Most European countries allow a B2 to be bred or even a C hipped dog to be bred as long as the C hipped dog is bred to an A1 or A2. The criteria in most countries for determining if a dog should be bred is that any dog with an FCI rating below a C (equivalent to OFA mild) shouldn’t be bred at all. A C rated dog should only be bred if the dog is being bred to an A1 or A2 rated dog (equivalent to an excellent or good). Many breeders are importing puppies out of C hipped European dogs. A dog who gets an FCI C (equivalent to OFA mild) will probably never have any clinical signs of hip dysplasia, but OFA and GRCA do not recommend that such a dog be bred at all. A good breeder in the United States will not breed a dog rated as mild by OFA and advertise it on their website. However, there are many dogs in Europe who have C hips advertised on their website and being bred and many more dogs in the pedigrees of these dogs that are considered by many to be well-bred. Penn Hips – A Fairly New and Different Approach to Hip Testing in the U.S.
Penn Hip takes a totally different approach to evaluating the hips of a dog. A much deeper anesthesia must be used in order to take x-rays with the joints stretched out and compressed instead of just a relaxed position as the other hip evaluating organizations. There are pros and cons as to whether this type of x-ray gives better indications as to the future arthritic changes that could occur. OFA takes a more wait and see approach (thus the 2 year old age restriction). We believe that following the above listed rules of OFA and GRCA is the way to improve the hips of the breed as a whole. If all breeders would retire dogs that do not get at least an OFA fair, a BVA 18 (total of both hips), an FCI B1, or a Penn Hip 50% score, our breed’s hips would slowly get better. Although it is heartbreaking, we don’t hesitate to retire any dog who does not meet these standards. 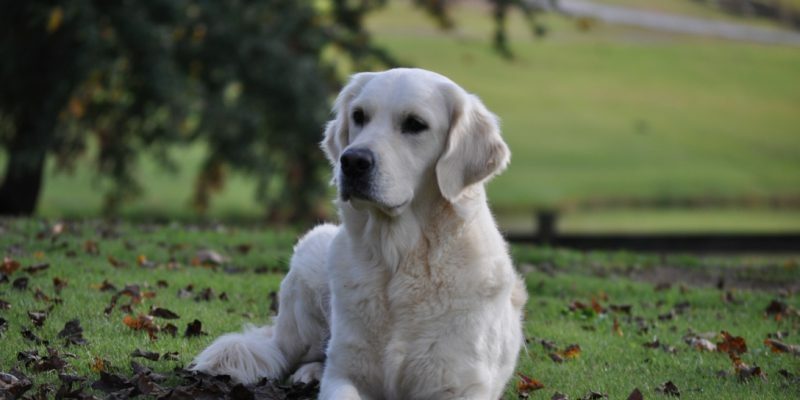 We believe that OFA, Penn Hip, BVA, and FCI are all good ways to evaluate hips and if breeders would all test their hips with one of these methods and would clearly and honestly report the results, the hips of Golden Retrievers as a whole will improve. On the surface, it may sound as if the European standard is lower than the American standard. I would agree that conscientious breeders in America have a higher standard than some breeders in Europe, but a difference that must be considered is that in order to register a litter of puppies in many FCI countries, health testing MUST be done and certain criteria met. In America, it is strictly up to the breeders. 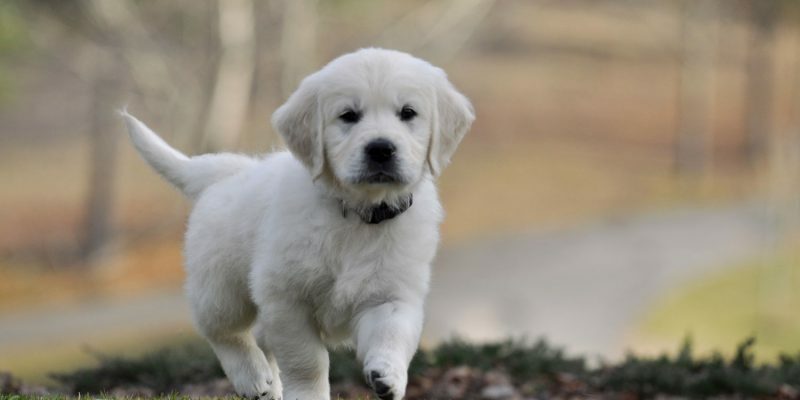 If all breeders would adhere to OFA’s current guidelines, there would not be enough Golden Retrievers to meet the demand for puppies, thus giving the unethical breeders their market. It is up to the buyer to make sure that the hips of his/her future family member is coming from the best possible lines and from a breeder who is honestly communicating to him/her the hip background of a puppy he/she is considering for his/her family. Although genetics are important, a good genetic background for hips does not necessarily guarantee a puppy free from hip dysplasia. Good environmental influences also play a big part in the prevention of Hip Dysplasia. Hip Dysplasia is often caused by owners over-exercising their dogs under two years of age, excessive going up and down stairs in dogs under two, excessive jogging or chasing of balls in dogs under two, or owners over-feeding any age dog and allowing them to become overweight. A young puppy should rarely be chasing balls, never chasing and jumping for Frisbees, and never going up or down full flights of stairs in order to give his young joints time to develop properly. The best exercise for a puppy is swimming and daily walks. We don’t recommend dogs jumping up and down off of furniture. All of our dogs are trained to stay off the furniture unless they are invited by one of us and then we help them up and down. We keep doggy pillows and comfy mats for them to lay on on the floor and reserve their couch time for snugglies with us. Vitamin C and Glucosamine have been shown to contribute to proper development of joints and to help rebuild normal wear and tear before it has an opportunity to become an issue. Read this article from the Whole Dog Journal for some excellent reading on the benefits of vitamin-C in dogs: Whole Dog Journal. Chiropractic care has also been shown to help young dog’s joints develop properly and the ligaments and tendons that support them to mend from normal wear and tear. Good breeding along with proper care during a puppy’s growing years will give a dog the best possible chances for a life with healthy hips.